Our family has expanded again! On November 9, 2016 Joel Archer Connally was born in Curahuasi, Peru. Our new grandson weighed eight-and-a-half pounds at birth and has been growing exponentially since then. He is strong and happy, with beautiful resemblances to both his grandfathers. Joel’s parents, Brendan and Erin, are missionaries. 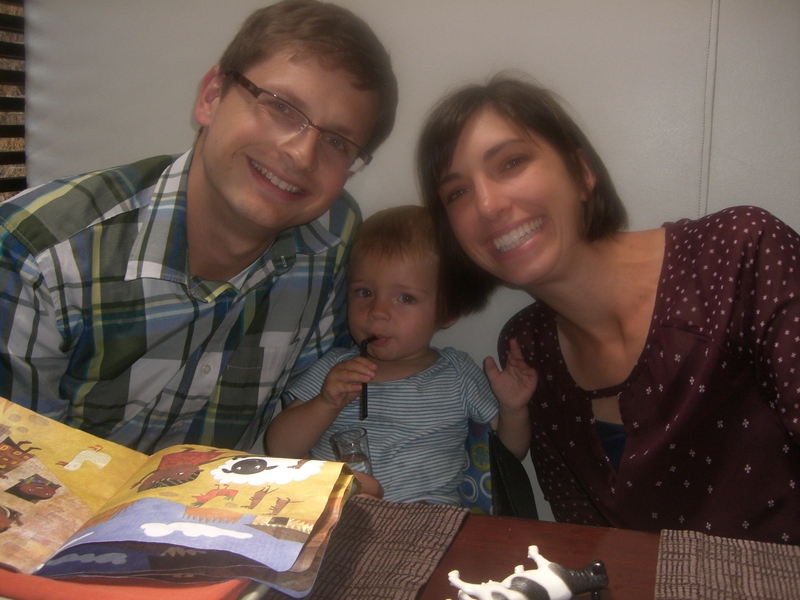 Brendan provides linguistic, educational and ministry support to Peruvian churches, and Erin works as a dentist. Joel’s older brother, Oliver (Olly), is three years old. Like Olly, Joel will grow up with three languages. He will be both American and Peruvian–in citizenship, in cultural understanding and in loyalties. That’s a large mantle for small shoulders, but the boys are children of God, and they’re strong. Rory and I recently visited Joel, Olly, Brendan and Erin in Abancay, their Andean home. It was a week of jostling over hairpin-turn roads, walking in the sunshine (in January it’s summer there), drinking Peruvian hot chocolate, exchanging belated Christmas gifts, buying vegetables at the market, singing with Olly, and falling in love with Joel as we rocked him to sleep. We ate ice cream at the heladeria, joined Brendan and Erin’s friends for a volleyball game–and, yes, finally saw Machu Picchu. People say the Inca site is breathtaking, and it is. But nothing compares with the mountains under it, around it, above it. Joel, welcome to the world and to the family! This is the text of an article I wrote for Tacoma’s News Tribune, published on July 27, 2015. Six years ago my son Brendan and his wife Erin moved to Andean Peru as missionaries, beginning a relationship with the Quechua people. Making this kind of commitment is a little like getting married: in ways you can hardly fathom, you are suddenly connected to a new family. My husband Rory and I, like in-laws at an international wedding, now find ourselves deeply connected to a country not our own. In these six years, Rory and I have visited Peru five times. We have grown uncomfortably familiar with the long trip, which includes a sleepless night in the Lima airport, then a dusty bus ride along dizzying cliffs, and finally an exhausted arrival in the small mountain city of Abancay. This is a journey of the heart. We are coming to know this rugged, workaday part of Peru in a way that tourists can’t. 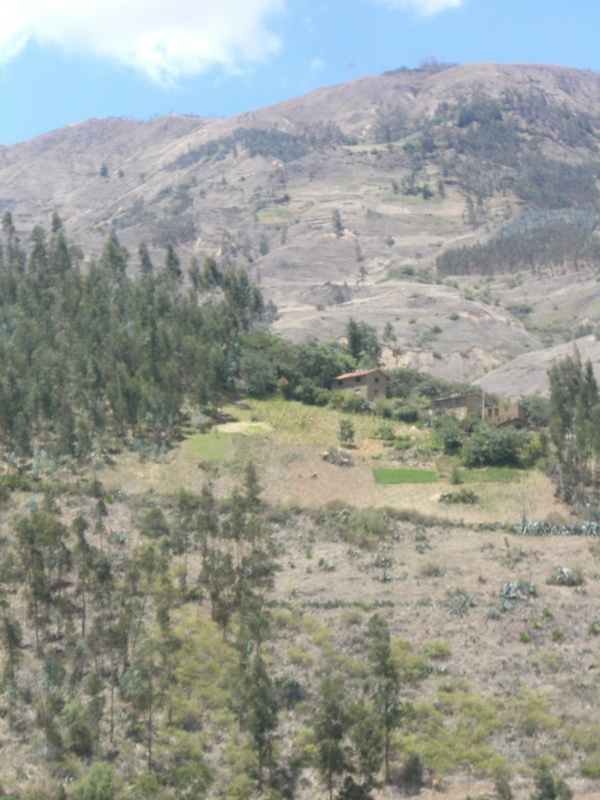 Abancay, with a population of about 70,000, is the concentrated center in a region of subsistence farming. Brendan and Erin work in the city and its surroundings, Erin as a dentist and Brendan as a linguist, Bible teacher, and advisor for Peruvian churches. Brendan is known among the locals as “the gringo who speaks Quechua.” Their son Oliver attracts instant attention as Abancay’s only blond child. Just under two years old, he eats cuy (guinea pig), loves his black-haired playmates, and speaks words in Spanish, English and Quechua. He is a Peruvian native. But I am not, and my friendship with this country took time to grow. On my first trip I was an observer, noticing the things every newcomer sees: the terrifying drivers, the restrooms without toilet paper (when you can find any restrooms at all), and above everything, the stark power of the mountains. 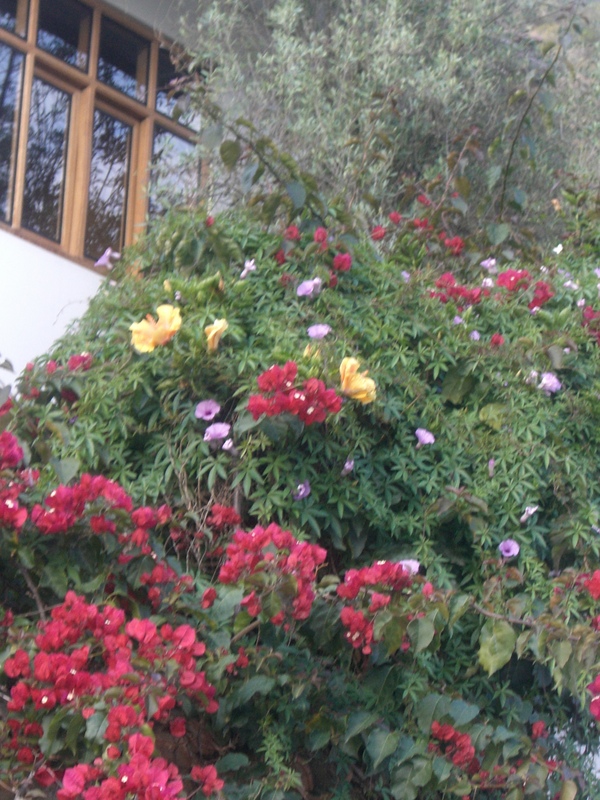 With later trips I saw more: bougainvillea growing over adobe walls. Cattle on the roads. Donkeys transporting long grasses grown for animal feed. Crowded old mini-buses called combis tearing around town. Quechua women cooking over outdoor fires, or carrying their babies in colorful q’epis (woven blankets) on their backs. Teens playing volleyball in the street in front of Brendan’s house, moving the net for cars to pass. I saw that although Andean life was hard, it had its own strength and beauty. With each trip back to Peru, I have grown a little less timid. I have become used to waking each morning to the blasting of both roosters and radios. I have taken Oliver on walks through the streets of Abancay, and the packs of stray dogs don’t bother us. With my limited Spanish, I have bought pancitos (little breads) from the tiny store up the street, tried to comfort the neighbors’ crying toddler, talked with farm wives selling vegetables and listened to shopkeepers joking with Brendan. There is more. I have heard the joyful, nasal singing in Quechua churches, seen the reverent way believers carry Bibles they can barely read. I have met some of Erin’s nervous, hurting dental patients and seen their gratitude for her help. Rory and I have spent time among Brendan’s Peruvian colleagues; they like to see us when we visit Abancay. It is humbling to realize they esteem us because we are the family of Hermano (Brother) Bernardo, as they call Brendan, and Hermana (Sister) Erin. These people have welcomed us into their community; but much more importantly, they have welcomed Brendan, Erin and Oliver into their lives. They are the Peru that Rory and I are coming to love. As I try to make conversation with them, there is so much I want them to understand, though I can hardly express it in my own language, let alone theirs: When our loved ones settled among you, they found a good home. Thank you for receiving them. Thank you for being their Peruvian family.